How Old Are Pyramids Around the World? Out Of Mind » GALACTIC AWARENESS » HISTORIES MYSTERIES » How Old Are Pyramids Around the World? Determining the age of a pyramid is not as easy as it seems. Stones cannot be dated to determine the age of the structure, because what the scientist will find is the formation date of the rock material itself, and not when the stones were piled on top of each other. Scientists think they have found a reliable way to date stone structures, while they only make associative, assumptive and subjective connections between the organic materials and the stone structures themselves. They claim it is reliable, but there's no way for anyone to validate anything. And that is directly the toughest problem in dating any stone structure: validation. The most common way is to Carbon date organic artefacts left by 'builders' found inside and around pyramids, or organic materials that slipped between the stones. This method of dating is believed to be fairly accurate. It is often claimed as 'evidence' of the age of the structure. How Are the Pyramids of Giza Dated? The pyramids of Giza weren't exclusively dated by dating excavated organic artefacts in and around the pyramids. It is also done by linking the inscriptions inside the pyramids with the era of the rulers and the architect Imhotep. How exciting these carved inscriptions might look, it is in fact no direct proof how old they really are. Christians claim that the Earth is 6,000 years old, based on the 'inscriptions' in the bible. Is this 'evidence'? For them it is. There are even scientists among them. Do you see how hard it is to reliably date something? And we still have many unsolved questions around the building methods that were used as well. What counts for Giza, counts for all pyramids. They are real hard nuts to crack. According to the Oxford dictionaries evidence can be defined as: the available body of facts or information indicating whether a belief or proposition is true or valid. The words 'scientific evidence' are often misused to emphasize a certain belief or to label a certain theory. Newton believed he had evidence for his theory. But with three or more bodies his theory didn't work. What does this tell us about one of the most successful theories in history? That empirical evidence can be your greatest deceiver. We believe that the moon and sun cause the tides. But how do we know for sure? The only evidence we have are very clear patterns between the moon phases, orbits and the tides. Calculations show very clear outcomes and relations. That's evidence too. 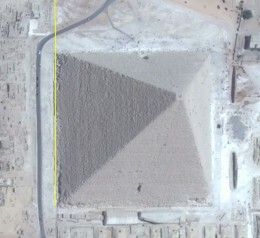 If we can relate pyramids around the world somehow, can we then classify them in a certain time frame? Yes, I believe we can. And this is the first step to take before diving into intimidating details. There is already much work done by many different people in finding patterns in pyramids. While doing additional research we found very interesting evidence how to classify the different pyramids around the world. Analysing the orientation of more than 250 pyramids around the world, made it possible to classify a pyramid - before or after the Great Flood. An event that modern science wrongly interpreted as the ushering of a new ice age. There is overwhelming evidence for a Great Flood, when the Earth crust shifted to its current location. It also marked the beginning of what we call the last ice age. It is obvious that pyramids around the world are arranged in a definite direction, but there doesn't seem to be always a clear pattern, unless you find out where perpendicular lines intersect eachother. Note: by North Pole is meant the geographic North Pole. The theory of Earth Crust Shift is not dealing with the magnetic poles. 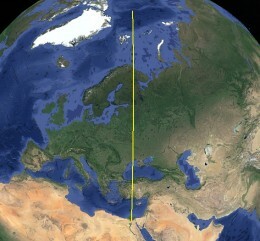 The geographical pole is the rotation axis of the earth. 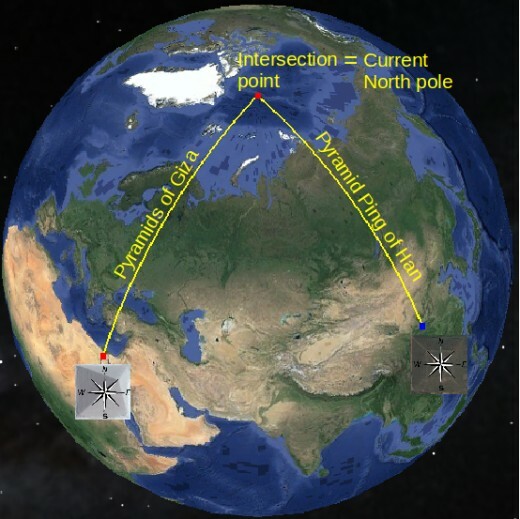 The statement that the pyramids of Giza are oriented to the current North Pole (cardinally oriented) doesn't knock people off their feet anymore. More important to know is that Giza is oriented to the current (geographic) North Pole and therefore constructed after the Great Flood. A Great Flood which was caused by an Earth Crust Shift that ushered the beginning of a new ice age. There's no doubt about the classification of these pyramids: they were built after the latest pole shift. Which can be interpreted as after the Great Flood. The time frame we have here to classify Giza is between the current estimations, 4,500 years, and 110,000 years. It is a contribution to the builders to orient such a big construction with great precision. It's orientation is 0.05° precise to our current geo pole, and shows a mathematical knowledge which rivals those of today. How old they precisely are is not in line with the intention of this article - it's the terrain of other specialists. Most scientists still don't believe that the pyramid of Visoko is actually a pyramid, but the orientation of these pyramids to the current North Pole are so precise, that it is hard to believe it's not a pyramid. 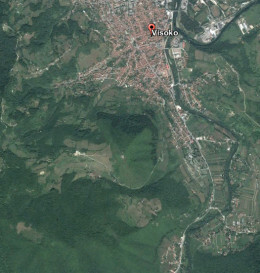 Ever seen a mountain that looks like a pyramid that's also perfectly oriented to the North? What happened that scientists are scared of this recent new claim of a guy called Semir Osmanagić? Is it because he claims an antiquity that's far beyond the current paradigm? This pyramid can be classified as after the Great Flood, because they are oriented to the current cardinals - our current geo poles. Osmanagić has profound evidence they are around a whopping 34,000 BC. That is in line with our findings, because it supports the claim that the crust has shifted 110,000 years ago. There's no reason (yet) for scientists to be really scared. I think scientists should do their job and join Osmanagić's research to look what's inside these pyramids. They are real! It will knock almost everything we learned upside down, but who cares? We only care about the truth! 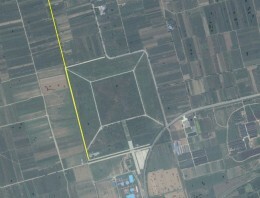 This is a collection of serious pyramids that are anxiously protected by the Chinese government. They are pyramids, that's for sure. It took scientists many centuries to figure this out. What are the Chinese afraid of? That we find out that our ancestors were smarter than we think, and were skimming the earth much sooner? Why are they oriented like this? 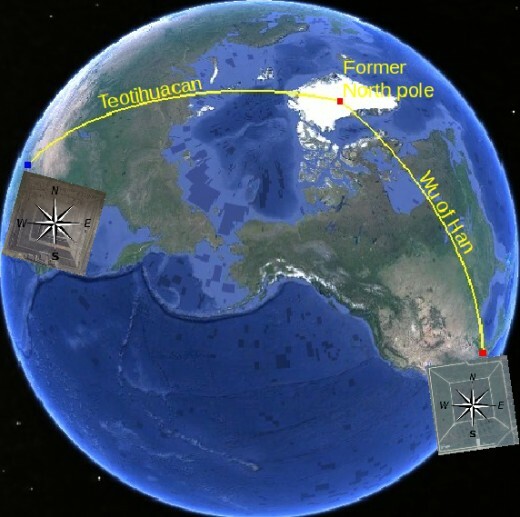 The precision of the ones that are oriented to the current geo pole is so precise that the other ones that were oriented towards to Greenland wasn't just coincidental. It was clearly done to serve a specific purpose. They were oriented to the ancient cardinals, a very long time ago. There are a few interesting exceptions in China which confirms the theory of multiple pole shifts even more strongly, which will be shown in one of the next articles. These different orientations of the Chinese pyramids imply that this culture somehow survived a shifting geographical pole. A catastrophic Earth Crust Shift was responsible for the displacement of the North pole on Greenland over a distance of about 1,500 km to its current location. So, there appear to be pyramids in China that are built before the Great Flood and after the Great Flood. These cultures somehow survived it, adapted to it, and built another series of pyramids to the new, current geographical pole. This would mean that the ones oriented to the current North pole are of the same time frame as the ones of Giza, younger than 110,000 years. But the other ones oriented under an angle of 8° are therefore older than 110,000 years. Is this why this culture is so advanced in medicine, religion, philosophy and many other areas, because it's so old and the traditions survived the Great Flood? It gets even more interesting when we go to Mexico. One of the most important aspects of scientific evidence is that it is reproducible and verifiable. When we draw a line from the pyramids in China (oldest ones, 8°) and the pyramids of Teotihuacan in Mexico, the lines will cross each other on Greenland. This is reproducible and verifiable by anyone who has access to Google Earth. The question that then could follow is: what does this mean? Read in this case the article "Why is Greenland Covered in Ice? ", and the penny might drop that the pyramids of Mexico and these ones of China are constructed before the Great Flood. These pyramids were built when the North pole was still on Greenland, and that is a very long time ago. That human cultures are much older has now been proven as you will see with the progression of this article. Just a few intersections like those shown above prove nothing. It could be just luck. 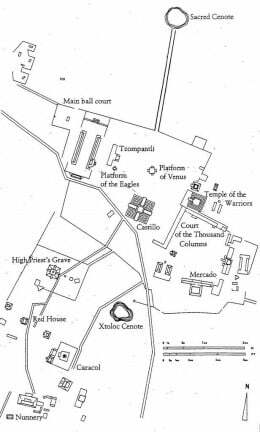 To rule out any chance the data of in total 185 ancient sites, and 271 constructions are examined and extensively processed. The results are staggering. 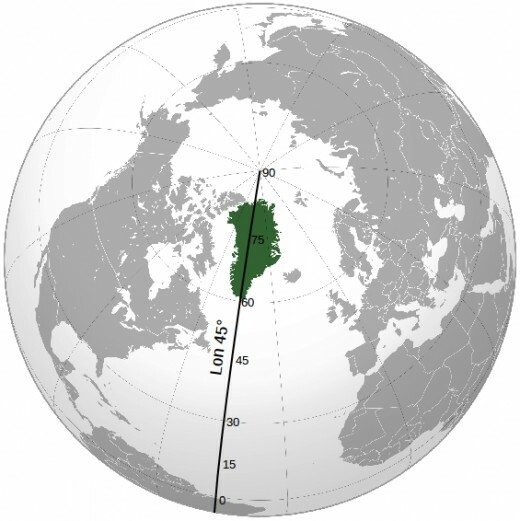 Since there was already a hunch that Greenland was once located on the North pole, we drew a line over Greenland from the current North pole to the current South pole, at a longitude of 45°W, and calculated the amount of intersections with that reference line. 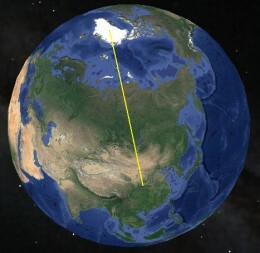 The former pole reveals itself amazingly sharp at an exact location on Greenland. The probability of this event can be calculated. With the used data set, and with the amount of found intersections, the probability on mere chance is 0.002%. The probability that it was done on purpose, and that it was therefore the former North pole is: 99.998%. We can safely claim that Greenland was on the North pole. We can now understand why it is melting, because it has become deep frozen at another location, and is still melting at a very low rate. In the book that is currently in the making under the working title "Atlantis is Here", the location of this intersection line has been calculated at a precise location of 47.091°. The results from the calculations deliver even more amazing insights, that I save for the book. 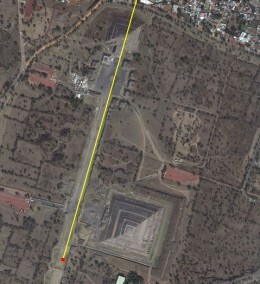 There are virtually no pyramids to find in Mexico which are oriented to our current geo poles. The question that rises is: what does this mean? Were they oriented to one of the solstices? No chance, because in that case we wouldn't find so many different orientations. Are most of the pyramids in Latin America pointing to a former pole on Greenland? The answer that is derived from a large amount of data is: Yes. And that is not just a 'yes'. To be precise, it's a 'yes' with a probability of 99.999999981%. Distilled from a large amount of data. And that is much more certain than any archaeologist was ever able to provide. There was a former pole on Greenland, and many pyramids were pointed to that pole. 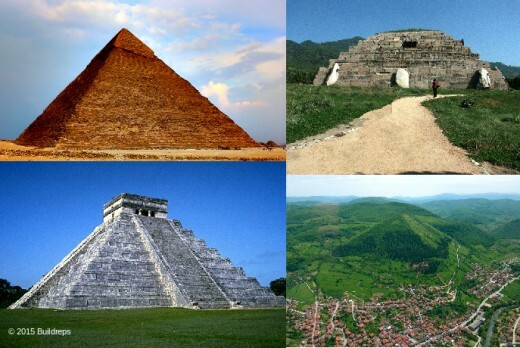 It is the most unbelievable, and at the same time the most reliable answer there is to give on the question how old the pyramids in Mexico, Peru, Belize, China, etcetera are. The current interpretation of the new view on glaciations is that when the geographical pole shifts, it causes a new glaciation cycle. The last glaciation started 110,000 years ago and ended about 12,000 years ago. Pyramids that are oriented to the former pole are thus older than 110,000 years, and younger than the glaciation prior to that, approximately 200,000 years. This interpretation sheds a completely different light on our history and gives the required space to explain all the mysteries that scientists and scholars were never able to solve. Many scholars tend to avoid the issue of the many mysterious findings, or even reject them as to be real, because it causes cognitive dissonance. In most cases endangers any deviating research, or even a deviating opinion, their careers if they challenge the mainstream paradigm. The Mayan, Aztec, and Inca cultures are much older than mainstream science always told us. Why were these cultures suddenly gone? Science has never found a credible explanation for the sudden disappearance of these highly developed cultures. When scientists claim the civilization banned cities for example in the 9th century AD, they are actually talking about the people who used the cities, not about the people who built the cities. That is quite a difference. Because the pyramids are pointed toward the old North pole, the culture must have experienced the destructing pole shift, with huge waves washing over the continents. It would be very difficult to survive such a catastrophe. It is also likely that cultures were warped back into the stone age, and became scavenging nomads. 1. The classical view: During a glaciation the geo pole was where it currently is, but the temperature changed. Which mechanism caused this glaciation is still unknown. 2. The new view: A glaciation was caused by a crustal shift. The amount of shift corresponds to the temperature change of the glaciation cycle. The crustal shift moved the polar ice sheet to a warmer region and a warmer region into the polar section. When geologists examine the phenomenon with the assumption that the pole was fixed, the findings are interpreted as a global cooling down, which in fact never happened. At least not on this scale. In the case that the poles shifted, the locations we find must then correspond with the temperature changes between the two latitudes. When the geo pole shifted from position 1 to position 2, it represents a shift from latitude 50° to latitude 62°. Which temperatures correspond with these latitudes? 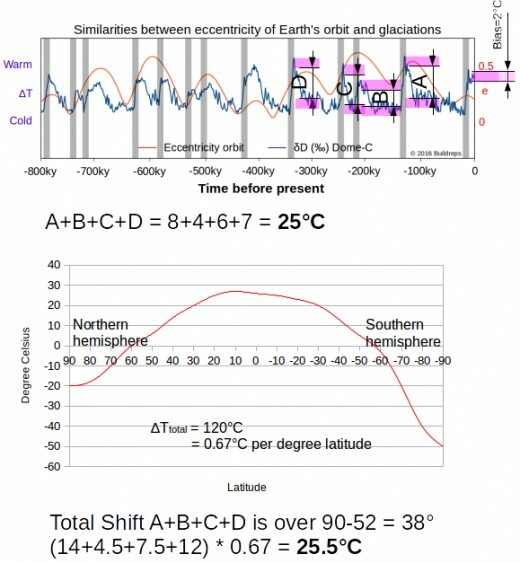 In the above graph you see that this shift exactly corresponds with the temperature variations between the different glaciations, approximately 8 to 9°C. The shift from position 2 to position 3 is more erratic. The relative large variation of this corresponding two smaller ice ages, is altogether 11 to 12 °C. This period though can be traced back in pyramidal orientations. 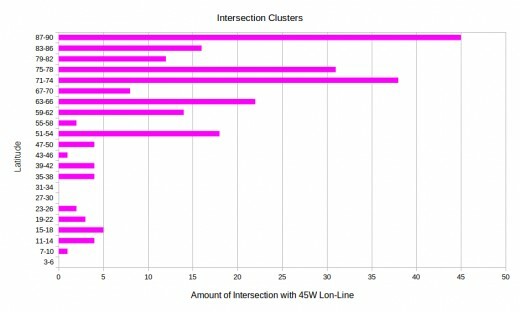 There was a minority of 14 orientations found that point to a clear location between 2 and 3. This interpretation makes it possible to date the cultures of former pyramid builders in a more reliable manner, via their orientation, which on its turn can be related to a glaciation cycle. Every glaciation cycle stands for an era. Every crustal shift is followed by an alleged cooling down. Polar ice sheets that have been shifted to warmer regions will cool that region, and the ice sheets will melt very slowly. 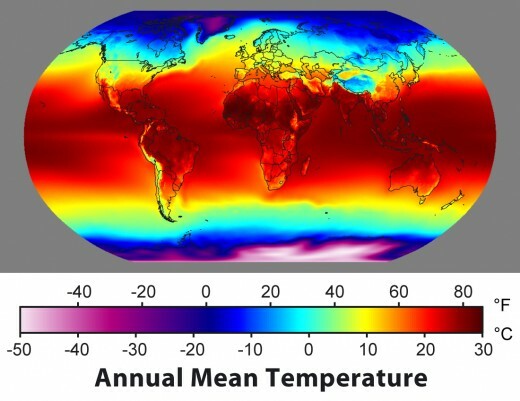 Melting takes somewhere between 100,000 to 150,000 years. The warmer region that shifted to the pole becomes now cold as well. The result of this phenomenon is that the temperatures on earth dropped a little bit because of ice sheets that moved to a warmer region. The shifted ice sheets cool the region in two ways, by reflection of sun light and convection. The warmer region that moved to the pole receives less sun light and slowly cools down. The effect is a ripple of the global temperatures, but certainly no temperature change between 8° to 12°. This alleged change is caused by a huge misinterpretation by mainstream scientists. The necessary consequence of this classification is that ancient civilisations are much older than always assumed, and it literally dismisses the mainstream interpretations as adhoc and illogical. This new interpretation explains glaciations and everything else in the most simple way and with the fewest assumptions, which is the major condition to comply to Occam's Razor. 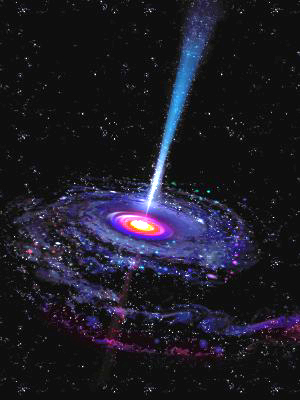 There is much data processed to calculate, to proof the position of the former pole, and also to calculate the reliability of this new theory. The orientation of the foundation of ancient buildings, especially because they were processed in large numbers, gave profound insights in ancient times. The data provides a 99.99% sure evidence that the former pole was on Greenland. The crust has moved not just a bit, it moved significantly. It moved over an angle of 38° over the last 340,000 years. It ticks like a clock on the Milankovitch cycles. 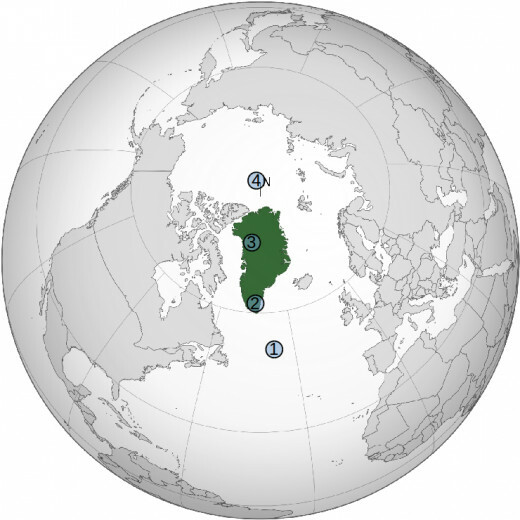 Greenland (that is to say the whole crust moved) moved over the geo North pole between 250,000 and 110,000 years ago in two shifts, meaning that Greenland has three former geo pole locations. Similar as three fence poles have two distances in between. The Greenland ice sheet is a result from this era, and that is the reason why it is melting now. That is also the reason why we can't do much to prevent it. The probability (chance) that temperature changes during the last ice ages accidentally correspond to the found orientation hotspots is 1 to 576, or 0.17%. Since they correspond very well, it is for 99.83% sure that the theory is correct! The current dating method of ancient structures is wrong. The methods that mainstream science likes to use can be dismissed as unreliable, probably caused by the stifling paradigm in which scientists are caught in. This new view will have consequences for many scientific disciplines. We have been fed with a constant stream of lies. That's now proven with mathematics. Of course will it take time for this theory to mature, and to be accepted as valid. But as the insights from these new method increase, the pressure on the conventional ideas will grow. The book "Atlantis is Here" will smash many paradigms to smithereens, not by swinging words at you, but by using mathematics in a way most people will understand. I hope I will be able to publish it at the end of 2016, or the beginning of 2017. You might ask why I don't consider to approach Nature or any other scientific institute with this new discovery. They are not ready for the ultimate truth, they like to believe in their own lies. No matter how high the probabilities are that I present. That's why.